People wondering how to start a school recycling program may find it more straightforward than if first appears. Starting a school recycling program may appear a daunting task. Schools are such large and complex organizations that implementing a school recycling program can be a major initiative. 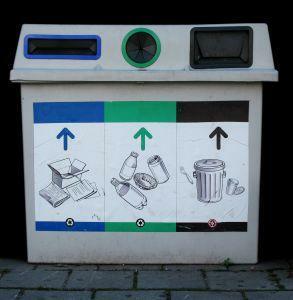 Clearly identifying a plan, however, will make the implementation of a recycling program straightforward. People considering how to start a school recycling program will find that there are some basic steps to take, regardless of the school size and type. Before deciding on a school recycling program it is important to carry out an audit and find out what the recycling requirements are. This entails looking at the waste generation from all areas of the school. This includes classrooms, school grounds, kitchens - and any other area of the school where waste is generated. The investigation will need to break down the waste into recycling types so a program can be devised to recycle waste appropriately. The school should be challenged with reducing waste before implementing the recycling plan. All areas of the school can reduce the volume of waste that needs to be recycled by reusing materials. In addition to simple reusing activities such as using printed paper as scrap paper, other ways that waste can be reduced is to look at using wood from pallets in woodworking classes or fabric from unwanted school curtains in drama classes or a school production. The system for recycling will need to be decided. This will take into account the findings from the waste audit and will combine this with other factors that are specific to the school. This will include local conditions, such as any local government or community schemes that are also operating in the area. The final step is to form an implementation team. This should include representatives from all areas of the school, including staff and students. Some schools may also find it beneficial to include people from outside the school, for instance interested parents or members of a local environmental group. Recycling goals are important, otherwise a school cannot assess how well it is doing. The goals must, however, be realistic, otherwise people soon become demotivated. The goals should be set in consultation with the implementation team. One of the main reasons why recycling programs fail is because the process for recycling is more difficult or time consuming than the process for just putting all waste into landfills. Therefore a school recycling program, as educating people as to the benefits of recycling, should make it easy to put this into practice. Recycling bins, for instance, at the other end of the school to the canteen, are unlikely to ever be fully utilized. The most effective school recycling program is one where the whole school is involved. This helps to present an integrated message for students and staff. The recycling theme can be followed through in academic and pastoral activities as well as forming part of the school's infrastructure. Many other areas of the community can help and support a school recycling program. This might include environmental groups that are prepared to come in and work with groups of children, through to local companies who are prepared to share facilities. Promoting the recycling program will help to raise awareness throughout the community. The long term rewards vastly outweigh the time and effort required in setting up a school recycling program. A recycling program has far reaching benefits. It teaches students about recycling facts and the importance of recycling and also helps the environment, which is good for everyone.